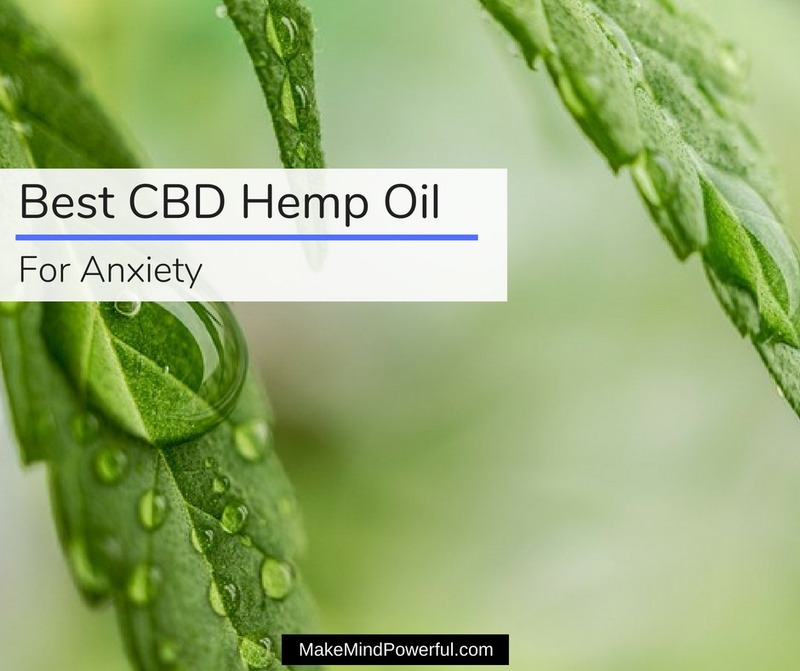 When you’re struggling with anxiety, especially one that disrupts your lifestyle, the words of how CBD hemp oil works wonderfully in calming anxiety may be intriguing. Despite it being one of the most sought-after anxiety remedies today, there are doubts and questions that need to be addressed. Scientists and researchers continue to conduct studies and test to determine the full potential of CBD and its side effects. As a former sufferer from anxiety, I understand how impatient we can get in dealing with the disorder. 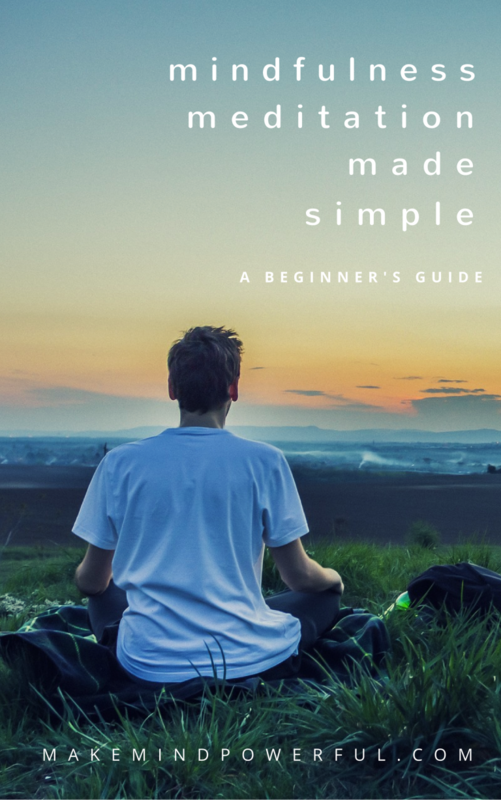 I’ve compiled this comprehensive guide to provide you the best information on CBD hemp oil and to judge if you really should take it for your anxiety. As the name implies, CBD oil is made from CBD or Cannabidiol. CBD is one of the many compounds of cannabinoids that exist in the cannabis plant. To be specific, the species of cannabis plant used to produce CBD oil is Cannabis Sativa. The cannabis plant is notoriously known for its ability to create ‘stoned’ or ‘high’ sensation. This is due to the psychoactive cannabinoid called THC. CBD is without the psychoactive element and does not alter your mind when it is used. Clinical research has pointed to the vast potential of CBD in treating various ailments, including alcohol addiction, chronic pain, diabetes and mental disorders. CBD Oil, Hemp Oil, And Marijuana: What’s The Difference? Note that CBD oil is often used as an equivalent to CBD hemp oil. Hemp oil, without the word ‘CBD’, is a totally different product on its own. While CBD oil, hemp oil, and marijuana originates from the same species, they have different chemical components that give them their unique properties. Marijuana is associated with the mind-altering sensation or getting ‘high’. This is caused by the high content of Tetrahydrocannbinol (THC). Hemp oil has very low THC and does not exhibit the same psychoactive effect of marijuana. However, hemp oil has a low level (typically below 3.5%) of Cannabidiol, the important chemical component that is essential for treating various ailments. CBD oil is significantly low in THC but has a high level of Cannabidiol. This made it ideal as a remedy without the mind-altering effect of marijuana. Both hemp oil and CBD oil does not cause psychoactive effects but the uses of each type are different. You’ll find that hemp oil is commonly used in food preparation or industrial items like shampoo, lotion or paint. On the other hand, CBD oil is highly recognized for its medicinal properties. Our brain consists of billions of neurons that constantly communicate with each other aided by neurotransmitters. The neurotransmitters need to collect information from one neuron to another. This is where the receptor, a tiny protein attached to the neuron plays an important role. The receptor helps to identify the right neurotransmitter before passing the information over. The specific receptors that relate to CBD are identified as CB1 and CB2. It was initially suspected that CBD binds to these receptors, but further studies suggest otherwise. A study initiated by the Federal University of Rio de Janeiro suggested that CBD instead interacts with the serotonin receptor which results in the reduction in anxiety symptoms. Other studies also showed the interaction of CBD with other components of the brain that results in its vast benefits for other ailments. It’s always prudent to study documented scientific studies on the effectiveness of CBD oil against anxiety, despite the strong suggestions from multiple parties. Here are a few studies that have shown encouraging result in this matter. This study in 2011 does not directly deal with anxiety but an equally disrupting cousin, social anxiety disorder. A total of 24 participants who suffered from social anxiety was involved and half of them prescribed with CBD. The result indicates that those who received CBD shows a significantly lower level of anxiety during an experiment. In another study conducted by the New York University School of Medicine and Instituto de Neurociencias de Alicante in Spain, 15 subjects are tested for the effectiveness of CBD. The test concludes that CBD helps the subjects reduce experimentally induced anxiety and increased speech performance. An in-depth scientific review has also been conducted by combing through other relevant studies performed by science experts. It strongly suggested the potential of CBD in treating panic disorder. There are also contradicting studies that suggest that CBD oil may not be as effective for anxiety as it claimed. This study that involves 38 healthy participants suggested that CBD may not affect a human’s response to emotional triggers, or at most the effect is at a minimum level. What is clear that more research is anticipated in the future to provide a clearer understanding on CBD. There’s no doubt that CBD oil is one of the most popular remedies for overcoming anxiety. However, its potency in treating ailments extends to other areas of our health. Here are other benefits of CBD oil. Prior to the introduction of CBD oil, marijuana has been widely used for pain relief since thousands of years ago. CBD provides a better alternative that lacks the psychoactive effect of marijuana. It helps in regulating the endocannabinoid system that is responsible for functions like pain and immune system. Cancer treatment is often associated with post-symptoms like nausea, vomiting, and chronic pain. Studies have pointed to the ability of CBD in alleviating these symptoms. A study conducted by the Severn Hospice, UK, involves 177 cancer patients. They are separated into groups that receive THC + CBD extracts, THC only extracts and placebo-controlled group. The results indicate a significant improvement in the group taking THC + CBD extracts compared to the group taking only THC extract. CBD has also shown promises in treating acne issues that are caused by inflammation and the increased activity of the sebaceous gland. A study in 2014 has observed the reduction in the production of sebum, an oily substance known to cause acne when CBD is applied. Despite the growing popularity of CBD oil and its absence of mind-altering effect associated with marijuana, CBD is still illegal in most countries around the world. In the US, you’ll have different accounts on the legality of CBD oil from different parties. CBD oil is claimed to be legal in all of the 50 states in the US. But with the differing federal law and certain state regulations, it is better to speak to your local health care providers so that you don’t get into trouble with the law. As of 8th of May, 2018, there are 17 states with laws that deal with CBD specifically. There are 30 states in the US where medical marijuana is legalized where you can also use CBD oil. As CBD is not approved by the FDA for medicinal purposes, you’ll not be able to get a recommended dosage from CBD oil suppliers. The rule of thumb is that you start with a low dosage if you’ve never taken CBD oil prior to his. Start with 2-5 mg and observe the effect it has on your anxiety for a week. If there is no significant improvement, increase the dosage by 1-2 mg and repeat the observation. It is important to note that each individual differs when it comes to the right dosage of CBD oil. The next question you should ask is the possibility of overdosing with CBD Oil. According to WebMD, high doses of CBD (1,200 mg – 1,500 mg) has been used for up to 4 weeks without any issues. As there is no documented usage beyond 1,500 mg, you may want to make it the maximum limit. Or you can consult with your doctor for further advice. CBD is considered safe when taken as supplements. However, there are some side effects that you may want to be aware of. CBD may cause drowsiness, dry mouth, low blood pressure and lightheadedness in certain individuals. If you’re taking CBD oil, ensure that you’re not driving or operating machinery at least for 30 minutes. There is insufficient information on the effects of CBD oil on pregnant and breastfeeding women. Therefore, it is best to avoid taking CBD oil during this period. While little is known about the interaction of CBD oil with other drugs, high doses of CBD may worsen the symptoms of Parkinson’s disease. With all the attention on CBD oil, numerous suppliers and manufacturers are competing to get a piece of this lucrative pie. But not all CBD oil is produced with the quality as claimed to be the manufacturer. If you’re hoping to get an effective CBD oil, here are a few criteria to check out. There are various ways that CBD can be extracted from the cannabis plant. Avoid extraction methods that involve propane, hexane, pentane, and butane as these are toxic compound found in petroleum. Organic alcohol is also used by some manufacturers where it yields a high amount of CBD. However, it is believed that this method decreases the potency of the oil. The best method is the Supercritical CO2 extraction. This method involves modern equipment that produces full-spectrum CBD. A cheaper, more conventional method uses olive oil to extract CBD but the final product is easily perishable. If the source is contaminated, the final CBD oil will be harmful to your health regardless of how potent the CBD is. You’ll want to be assured that the CBD is sourced from cannabis plant that is grown and harvested in a sustainable manner. This means that the soil or farm needs to be free from any form of natural or man-made pollutants. To be safe, look for companies that use organically planted cannabis for the CBD oil extraction. Isolate extract only contains a CBD while full-spectrum contains other cannabinoids that enhances the effect of CBD. Look for full-spectrum CBD oil as it may mean you’ll achieve the desired result with a smaller dosage. Most manufacturers produce different concentrations of CBD oil. You’ll find the common options being 250 mg, 500 mg, and 1,000 mg variants available. A 250 mg bottle of CBD oil means the amount of active CBD in the oil is 250 mg. If you’re a beginner at using CBD oil for anxiety, it is recommended that you start with the weakest concentration first. Make sure that the CBD oil does not contain unnecessary ingredients or artificial additives and flavoring. These impurities can be bad for your health and it’s basically robbing your hard-earned money. The market is so crowded with CBD oil and other CBD products. New suppliers are competing to draw your attention to their range of CBD oil. Picking out high-quality items from the inferior ones involves careful research, browsing the product specification and checking out reviews on neutral forums. Here are some of the trusted CBD oil from well-known brand online. 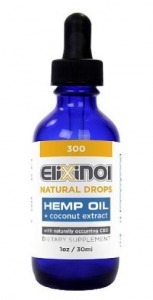 Elixinol is a highly recognized brand in the hemp industry. It was founded by Paul Benhaim, a reputable leader who pioneer the hemp industry since 1993. A team of capable professionals propels the company forward as it seeks to establish itself as the top choice of cannabinoid products of the world. As an established hemp products manufacturer, there is a variety of CBD oil for you to choose from Elixinol. This 300 mg CBD oil is a full spectrum extract that provides you the additional benefits of the entire cannabinoids, terpenoids, essential oils and other compounds found in the hemp plant. Taking half dropper 3 times a day will give you 5 mg of active CBD to help combat anxiety. It is organically sourced and free from impurities. You’ll get to verify the claims with the certificate of analysis provided by Elixinol. A Cinnamint flavored CBD oil is also available if you’re not comfortable with the natural earthy taste of the extract. 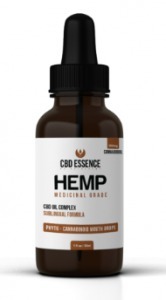 CBD Essence is a brand of Nutra Hemp Inc. It uses domestically grown industrial hemp plants for its range of products that includes CBD oil, capsules, and pet care products. The hemp plants are grown and harvested using only sustainable agriculture practice. The 300 mg CBD oil by CBD essence is produced using the CO2 extraction process. This ensures both its potency and purity. You’ll get a full spectrum CBD from this bottle of liquid extract. A single serving of 2 drops will provide you with 10 mg of active CBD. For best result, it is recommended that you hold the CBD oil under your tongue for a couple of minutes. This increases the absorption rate and thus, the calming effect of CBD. Besides natural hemp flavor, there are other options that you can choose from, namely cinnamon, grape, mango, spearmint, and vanilla. The company was founded by Matthew and Stacey Pitts, who are convinced that the benefits of CBD can enhance the well being of the public. A great portion of the hemp plants is harvested from a local grower in Kentucky. These plants are then manufactured in a GMP-certified facility and tested by 3rd party labs. 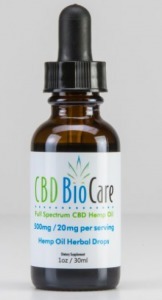 CBD Biocare produces strong concentrations of CBD oil, with 500 mg being the minimum to start with. The CBD oil is extracted from the flowers, stalks, and leaves of the hemp plants. It was extracted using processes that provides the superior full-spectrum of CBD in the oil. The CBD extract is further enhanced in hemp seed oil to increase the absorption rate. A full dropper will provide 20 mg of pure active CBD as a supplement for your anxiety. CBD oil has earthy flavor in its natural state, but CBD Biocare provides an optional peppermint flavor for those who are sensitive with taste. NuLeaf Naturals was one of the pioneering hemp companies in the US. It was founded 2014, by a group of health enthusiasts who are on a mission to deliver high-quality CBD products to the market. The company uses only therapeutic grade hemp plants that are grown organically in the farms of Colorado. 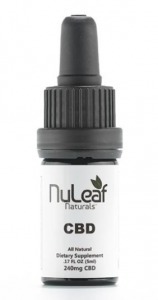 There are a few sizes of CBD oil from NuLeaf Naturals. All of it has the same concentration of 50 mg/ml. 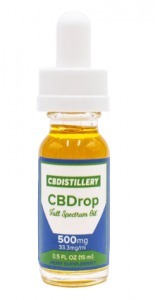 A single drop will provide approximately 2.4mg of CBD. It is recommended that you let the oil remain under your tongue for half a minute to have better effects. The CBD oil is extracted using CO2 extraction, guaranteeing its purity and effectiveness for anxiety. With this method, the entire spectrum containing terpenes, essential oils, vitamins like B and D, omega acids and trace minerals are extracted for maximum health benefits. CBDPure is owned by Nutra Pure LLC, a company based in Vancouver. It produces CBD oil extracted from organic hemp plants grown in Colorado. You’ll find no traces of pesticides in the hemp that are tested by independent labs. 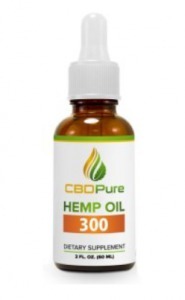 One of its most popular CBD oil is the 300 mg bottle. It carries a golden yellow color on the oil and is extracted using CO2 extraction. This ensures the properties of the CBD are preserved during the entire process. The oil is well filtered and does not cause any unpleasantness when consumed. The 300 mg CBD oil is ideal for a 10 mg of CBD servings per day. If you need a stronger or milder CBD oil, try the 100 mg or the 600 mg variants. As a commitment to its customers, CBDPure published its lab testing report on its website and provides 90 days of guarantee for any of its products. CBD Sky commits to the highest quality both at the source and production of its wide range of CBD products. All of its hemp plants are grown organically in the USA. They are enhanced with natural genetic techniques to ensure a high potency of CBD content and no trace of THC. There is a great variety of CBD oil from CBD Sky that differs in strength, flavor, and ingredients. This particular bottle contains 250 mg in its 1 fl oz bottle. It provides 5 mg of CBD in a single serving of about 20 drops. The oil is derived via cold-pressed CO2 extraction and that preserves the beneficial properties of CBD. The CBD oil is tested by 3rd party lab to ensure it is free from contaminants and contain ingredients as described by the label. CBD sky provides a copy of the analysis report that results from 3rd party testing by a food-grade lab. 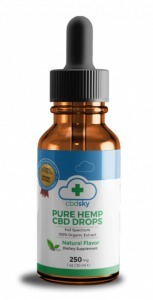 While this bottle contains full spectrum extract, CBD Sky also offers CBD oil isolate. 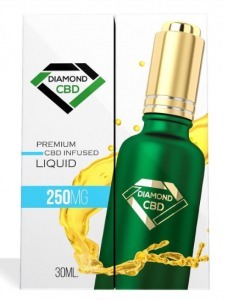 The team at Diamond CBD comprises of doctors and scientists who are committed to producing the high-quality hemp extract. The hemp plants are harvested from carefully selected farms in Colorado, Kentucky, and Scandinavia. They are inspected to ensure the strict quality standards of the company is met. This 250 mg/ 30 ml CBD is extracted through the CO2 extraction process. DiamondCBD claims that its range of CBD oil contains 7 times the concentration of CBD than other competitors when tested. A single drop will provide 0.58 mg of concentrated CBD. There are other options of concentrations and flavors of CBD oil offered by the company. They have undergone testing at third-party labs to ensure the purity is as claimed and no contaminants made their way to the bottle. CBDistillery is founded by a group of people who call Colorado their home. Their intention is to empower people with exceptional CBD products along with the education and research. It started the #CBDMOVEMENT to allow access to high quality and reasonably priced hemp CBD. This 500 mg/15 ml bottle of CBD oil provides you a moderate dose of 16.6 mg of CBD per serving. It is a full-spectrum extract that contains other cannabinoids that further enhance the effect of CBD. The hemp plants are tested for pesticide-free and non-GMO claims. Besides CBD hemp oil, the bottle also contains coconut MCT oil that acts as a carrier. This blend has a high absorbance rate and may provide you the relief from stress and anxiety quickly. CBDistillery offers 10% discount for full-time Veterans and Service Officials as a gesture of gratitude. I hope that this comprehensive guide and list of top CBD oil brands helps you in getting more informed in this increasingly popular remedy for anxiety. Feel free to share your experience with CBD oil in the comment below.